Since 2004, the Franco-British student associations have been bringing together French and British students to interact on topical issues of interest to both countries, through debates, online competitions, seminars and through its flagship annual student summits. The FB-Connections was set up in 2009 by alumni who had played key roles in student initiatives that followed the centenary Entente Cordiale celebrations in 2004. The alumni members set up the association to promote continuity and share experience and contacts by getting involved where possible. Since 2009, the FB-Connections has organised numerous events, including student conferences, lectures, debates and online essay competitions. 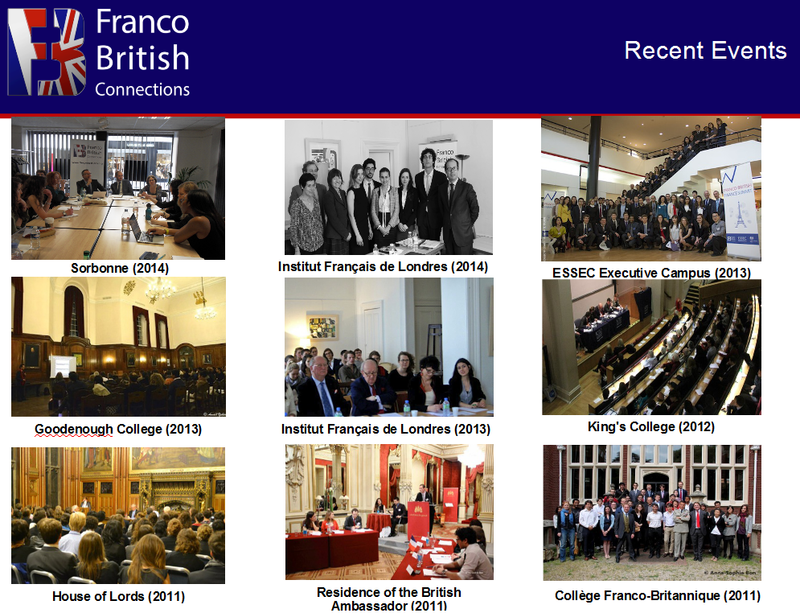 Between 2004-2009, the FB-Connections was preceded by another organisation called the Franco-British Student Alliance which organised a number of annual conferences. In 2013, the FB-Connections acquired the assets of the FBSA, uniting the history of both associations. You can find out more about all of our historical events by browing our website.